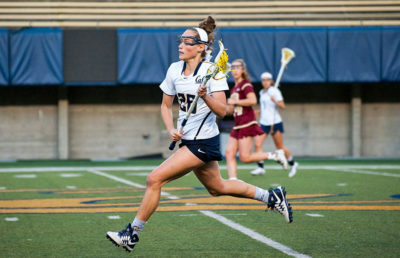 Entering its first Pac-12 postseason game, fifth-seeded Cal lacrosse was frozen by the bright lights of the moment and saw its hopes of reaching the second round quickly fade. The No. 4 seed Oregon Ducks reigned supreme in their matchup with the Bears, taking a 22-9 win. Thanks to controlling 10 of the first 11 draws and ground balls, Oregon quickly pushed this first-round game out of reach. Only 8 minutes and 5 seconds into the first half, the Ducks were leading, 9-1, and the Bears never took a lead for the whole game. This is not the first time Cal has found itself the victim of an early barrage from Oregon. During the teams’ initial meetup of the season, the Ducks scored four goals on the Bears before they could garner a single possession. 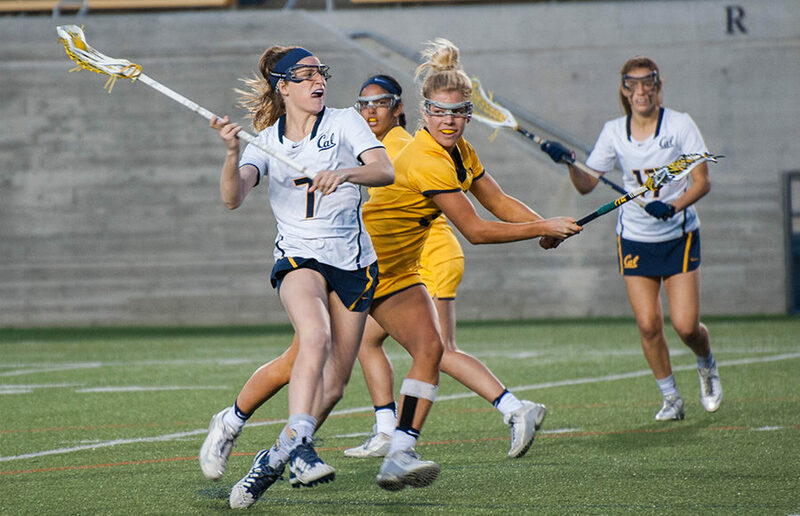 But Cal has since beaten Oregon at home, and it looked capable of mounting a comeback at the close of the first half in their tournament game this weekend. Thanks to two goals each from junior attacker Caroline Corzel and redshirt sophomore attacker Kirsten Swanson, the Bears closed the half on a 4-1 run. Corzel’s second goal cut down the deficit, but more importantly, it fired up the whole team heading into the break. With about eight seconds remaining, Swanson held off the defense, looking for a cutter. She connected with Corzel, who flipped her crosse behind her back and notched a goal with only one second remaining on the clock. 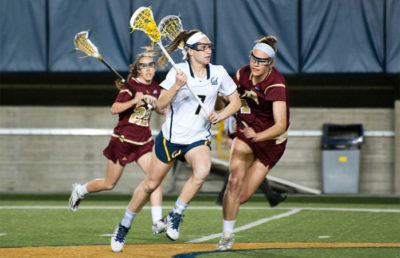 Starting the second half with another goal, the Bears brought the game to a score of 11-7 but could never get any closer. The Ducks had 31 shots on goal compared to only 19 for the Bears. A major contributor to that statistic was the imbalance of possession that favored Oregon. The Ducks won 21 of the 32 draws, which gave their offense many opportunities and tired out the Bears’ defense. Oregon’s 22 goals were season highs for both their offense and the Bears’ defense. Senior midfielder Natalie Modly converted many of those possessions to goals for the Ducks. Modly racked up six goals on only seven shots, which she created on her own in most cases — none of her goals were assisted. However, a large portion of Oregon’s scoring came on a team effort. Ten out of its 22 goals came on assists, compared to only 2 of 9 for Cal. The Ducks’ senior attacker Jill Zubillaga scored four goals, which is nothing out of the ordinary for her. Zubillaga is averaging 3.17 goals on the season, the second most of any individual in the Pac-12. She only trails Colorado’s Kiernan Darby, whose hat trick in the semifinal helped end Oregon’s tournament run. Not many of the tournament games actually ended up being competitive at all. Besides No. 3 seed USC’s one-goal loss to No. 2 seed Stanford, every game was a blowout with an average victory margin of about 11 goals. After the Ducks rolled over the Bears, they were humbled by the Buffaloes, who beat them, 16-6. Colorado, in turn, was dominated by Stanford in the final, 15-6. What makes the tournament final even more strange is the fact that the Buffaloes had beaten the Cardinal in both of their matchups during the regular season. All of the carnage in the final postseason tournament shows that from bottom to top, there seems to be a large difference in level of play in the young Pac-12.